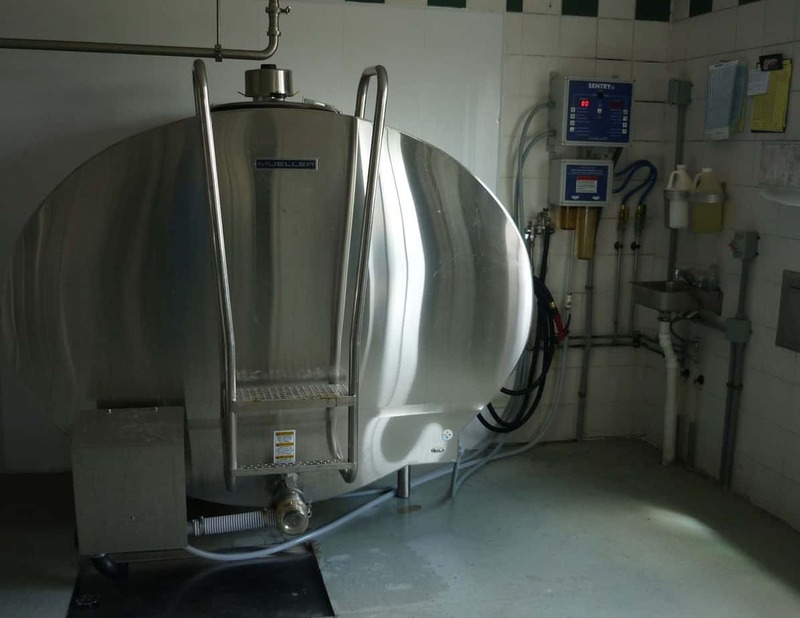 From cow to tank to cheesemaker to delicious. Yesterday I teamed up with other dairy farmers from across the country to talk about what we feed our cows. Today it’s all about what we eat that comes from cows. Let’s talk about cheese, glorious cheese! In honor of June Dairy Month I have volunteered my time and hard labor to visit some of the best cheese makers in the country. 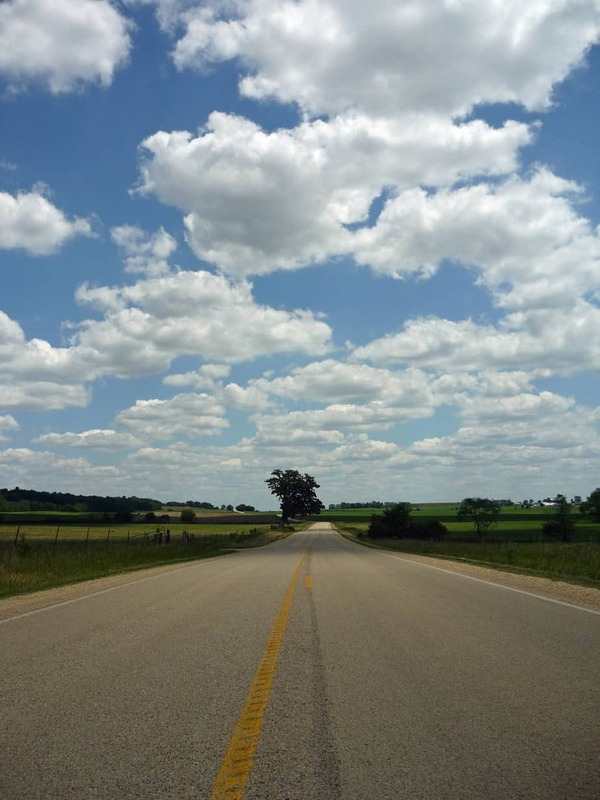 It takes a lot of hard work to be me… trust me, driving around to visit cheesemakers in Green County Wisconsin and having to look at views like this all day is really hard work! It’s a beautiful day in Green County Wisconsin, the home of some of the best cheeses in the world. But before we jump straight to the cheese I want to to back the milk truck up and show you the other side of the cheese wheel, where it all starts, the dairy farm. 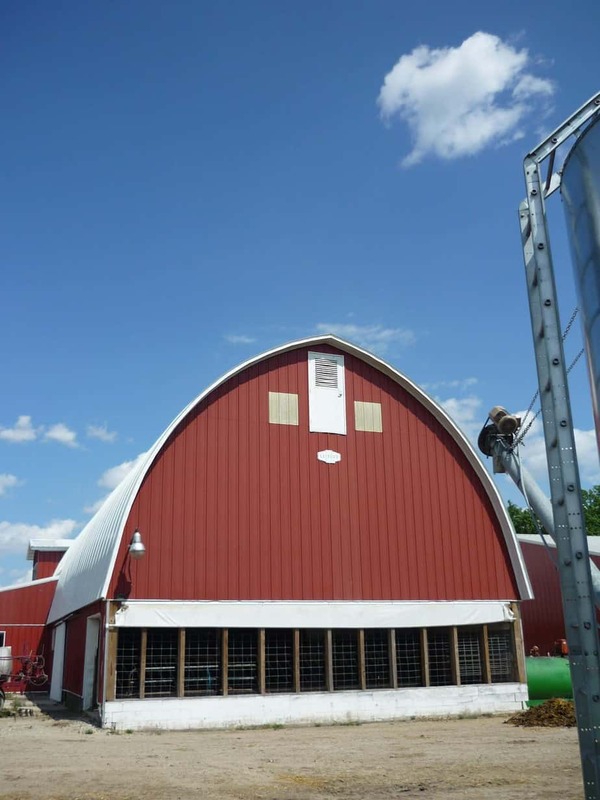 When I called the folks down at Decatur Dairy and told them my idea for this blog they were happy to connect me with one of the farmers that produces milk for their cheese making. I called the number they gave me, set up a time to stop in and soon had the pleasure to meet Steve Case, one of the owners of Pine View Dairy. A beautiful day to visit with the Case family on their Wisconsin dairy farm. I love visiting dairy farms. Even though we dairy, I can’t seem to get enough of cows. I always learn from other farmers and really enjoying seeing all of the different operations and ways of doing things. So Steve showed me around his farm and I have to say, I was really impressed! Steve and his wife Elizabeth along with their son Craig milk about 150 cows near Janesville Wi. They have built themselves a great herd of cows and along with it made some smart decisions on when to build and grow their farm. 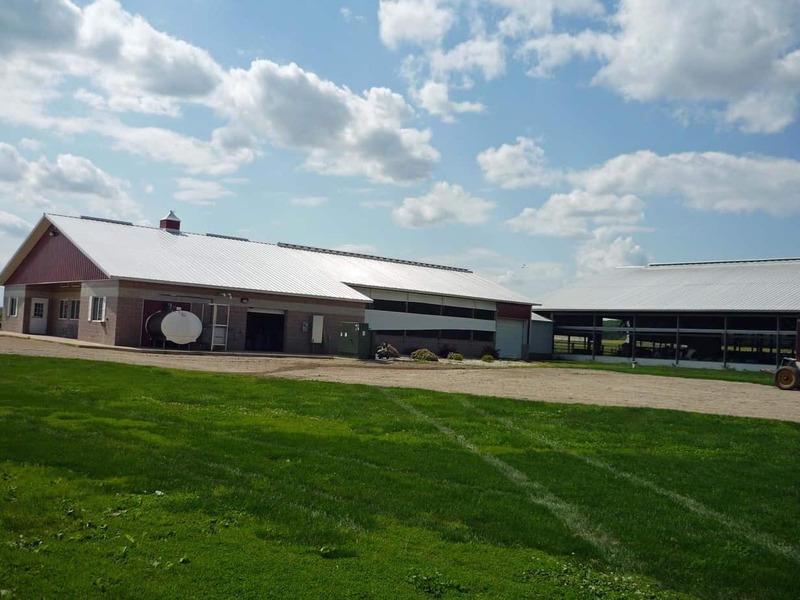 After a barn fire destroyed their barn, they rebuilt a similar sized stanchion barn, when eventually they outgrew that barn they grew again by building a freestall barn and parlor for their cows. Hearing Steve tell the heartbreaking story of the fire and losing many of their cows brought a tear to my eye. I can only imagine how horrible that would be. I am so glad they were able to rebuild their herd and their farm for the future generations of their family. This is the milking parlor that the Case family had built to milk their cows in. Before they built this parlor they toured several other dairies to find out what design would work the best for their family and their cows. This is the bulk tank where the milk is cooled and stored until the truck comes to pick it up and take it to Decatur Dairy. The Case family milks mostly Holstein cows but has a few Brown Swiss as well. This is the barn the Case family built when their old barn burned down. Now they have retrofitted the barn to house their baby calves. So the Case family has done quite a bit of careful growing over the years to get to where they are. They are setup to continue on with good land, good cows and a future generation to take over when Steve and Elizabeth want to retire. 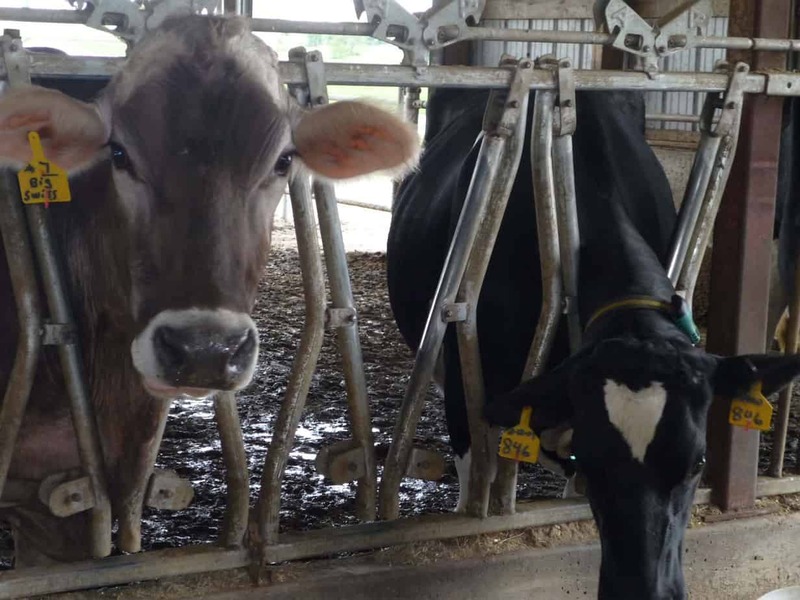 Farmers in Wisconsin have several choices when it comes to where they ship their milk. The Case family ships their milk to the cooperative that provides milk for Decatur Dairy near Brodhead Wisconsin. So the day after I visited Pine View Dairy, I followed their milk to the dairy, to talk to the man who makes their milk into award winning cheese. Decatur Dairy in Brodhead Wisconsin. Notice the dairy farm right behind the sign. Steve Stettler is an elite cheesemaker. Achieving the highest ranking of Master Cheesemaker for his Brick, Muenster, Havarti, Farmers and Swiss cheese varieties. He was kind enough to sit down with me and talk about the cheese he makes and the future of the dairy industry and the exciting things that are in the future for Decatur Dairy. Of course the new cheese in development are top secret and my lips are sealed so you’ll just have wait and watch. These silos hold the milk from the 75 farms that ship their milk to Decatur Dairy. 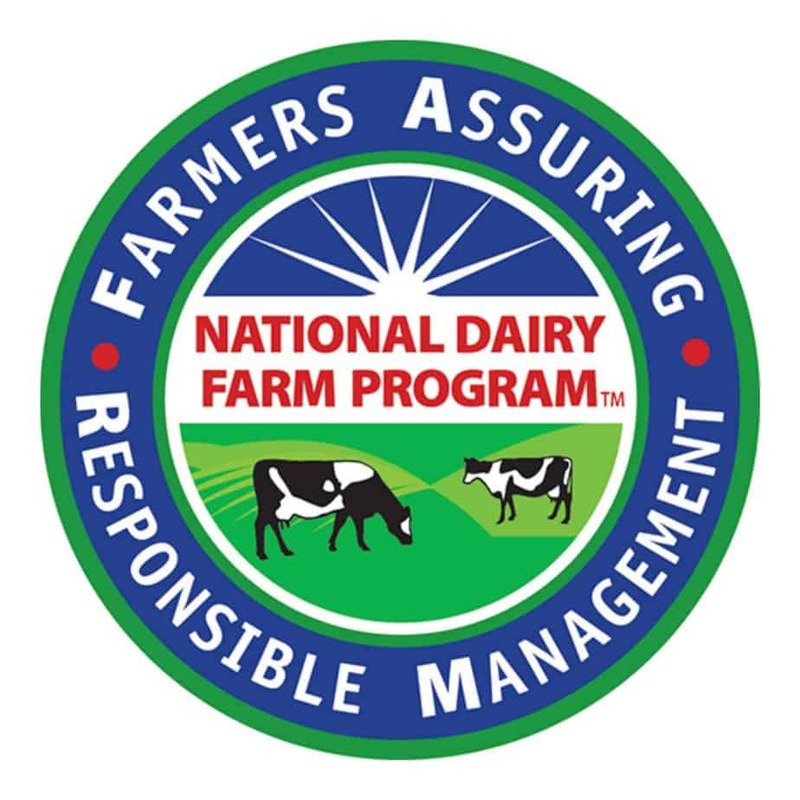 There are many challenges facing dairy farmers these days, from the cost of doing business to the aging population of farmers to new tighter quality restrictions on milk. Through all of these Steve works with the farmers that choose to send their milk to Decatur Dairy. When I asked Steve about the future of the farms that ship their milk to him, he figured only about 60% of those farms have a future generation to take over when the current owners retire. 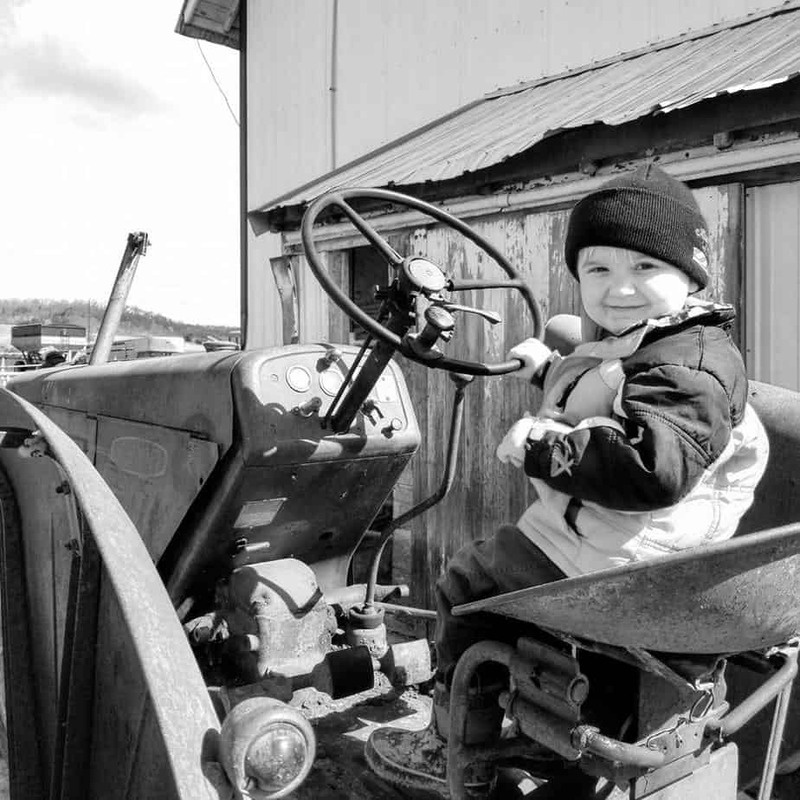 While Green County has lots of small dairy farms, each year more farmers retire, the average age of a Wisconsin farmer is around 55 years old. 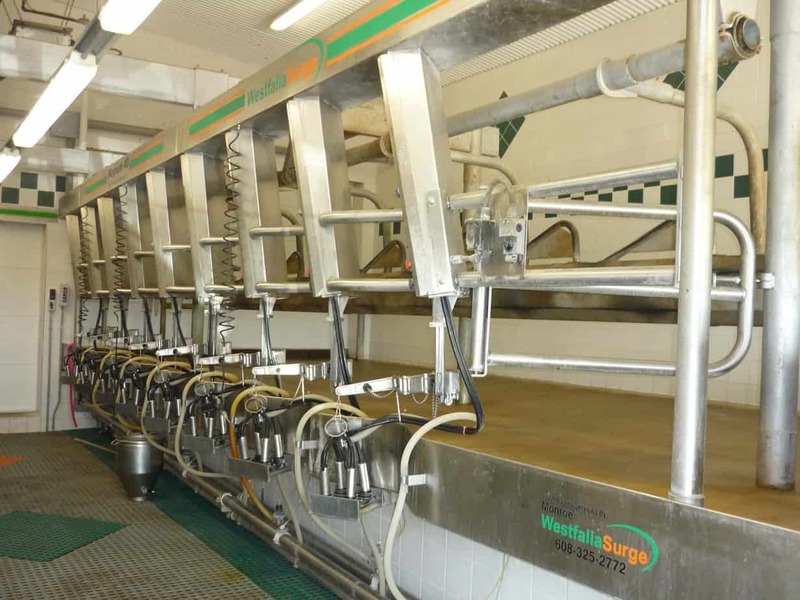 Ten years from now the dairy industry could be vastly different from what it is today. You can’t hardly blame the next generation for not wanting to commit to the all consuming roller coaster ride that dairy farming is. It’s almost as much of a balancing act to make cheese as it is to make milk. With whey, a byproduct of cheesemaking, becoming a commodity to sell instead of a waste product Steve has to be a blend of cheesemaker, accountant and businessman. He does them all well, but clearly his passion is the cheese. 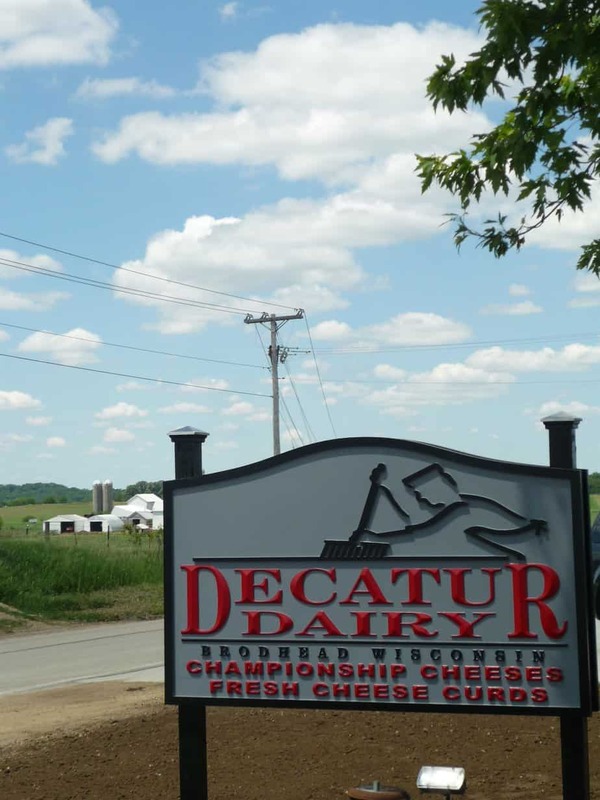 With the renewed interest in local and premium cheese, Decatur Dairy is enjoying the rewards from their years of hard work. They have recently built a new cheese store at the dairy and will be hosting a grand opening this weekend. Not only do they offer the cheeses they are famous for, Havarti, Brick, Farmers, Stettler Swiss, Muenster, Colby varieties, ButterKase and Queso Blanco, they also carry several other cheeses from around Wisconsin. 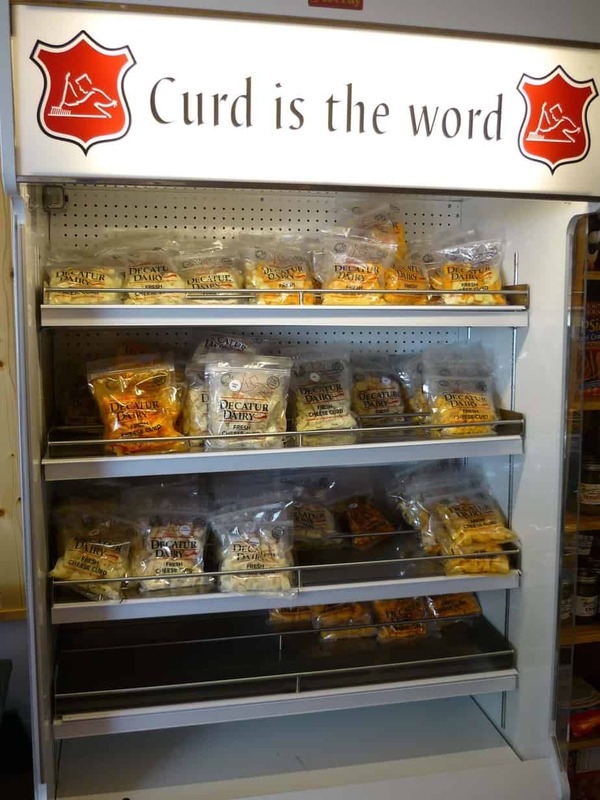 Curd is the Word… A display of squeaky fresh cheese curds in several varieties. We may be a little spoiled here in Wisconsin with amazing cheese available from local cheesemakers that get their milk from local dairy farms. I can’t help but have a bit of pride in my state for excelling in such a delicious way. After talking with both Steve Case and Steve Stettler my pride has grown. Dairy farmers don’t win awards for the work they do or the hours they put in. But with some science, magic and artistry our milk is transformed into delicious cheese. That is something to be proud of. If you would like to try out some Decatur Dairy cheese check out their website here. Not only is their cheese very reasonably priced, they ship! Of course I couldn’t leave Decatur Dairy without taking some cheese home. « So what do cows eat anyways? 12 Comments on From cow to tank to cheesemaker to delicious. So you know how they say a smell can bring up memories, well it happened to me just a few weeks ago when I went to Sassy Cow Creamery. Growing up my father worked in Milford at the cheese factory (long gone) on the corner of Hwy’s A & Q, Chuck Fanello (now deceased) and his wife Lois (still ives at the property) were the owners and my God Parents (tells you what they meant to my parents). Anyway, as a child I remember going to see cheese be made on more than one occasion. When I went to Sassy Cow the smell instantly took me back to being a child and the Milford Cheese factory. Long live awesome Wisconsin Cheese and the folks that make it happen. I love this comment Liz! Long live cheese! Mmmmm good cheese!! We always love the string cheese that the Cedar Valley Cheese in Belguim makes, that is where our milk gets headed for once it leaves here. 🙂 P.S. Yes it sure is something to be proud of I will definately agree with that! I like that barn for the baby calves with the door by the roof. Watch that first step. It’s a doozy. Nice post and great pics. Touring cheese factories is one of our favorite pasttimes. Decatur was a rewarding find. The touring is good but the tasting is great! Thanks for reading! There is less of a future for dairy farmers because the cheesemakers and processers take more than their share of the profits. 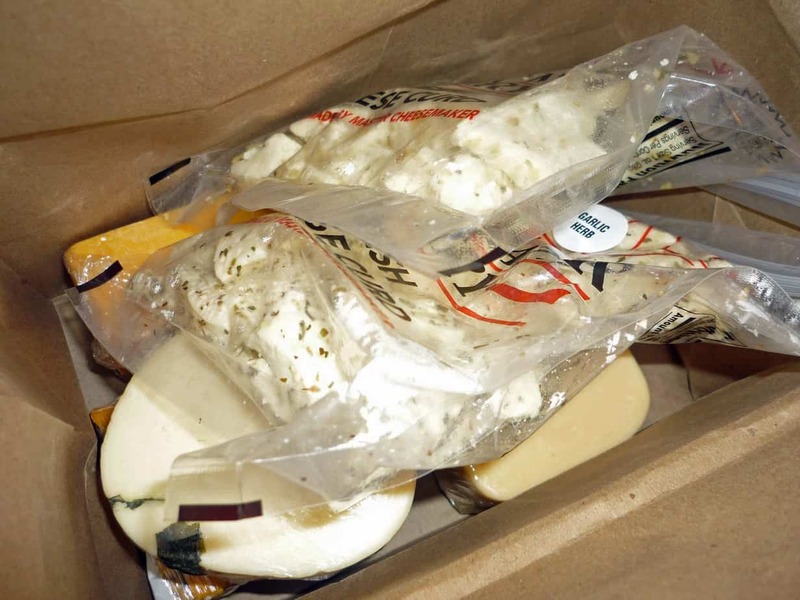 As far as Mr. Stettler being a businessman/cheesemaker/accounant, he took watered down milk for two years and didn’t know it, filed false information with the Dept. of Ag for five years and admitted under oath that he lied……this is the type of guy that gives cheesemakers a bad name. And this is who you choose to write articles about. I understand where you are coming from to a point. I don’t just blog, we also have dairy cows. That being said the money is a factor for sure, but you know as well as I do that the bigger limiting factor for future generations of smaller farms is the lifestyle commitment it takes. 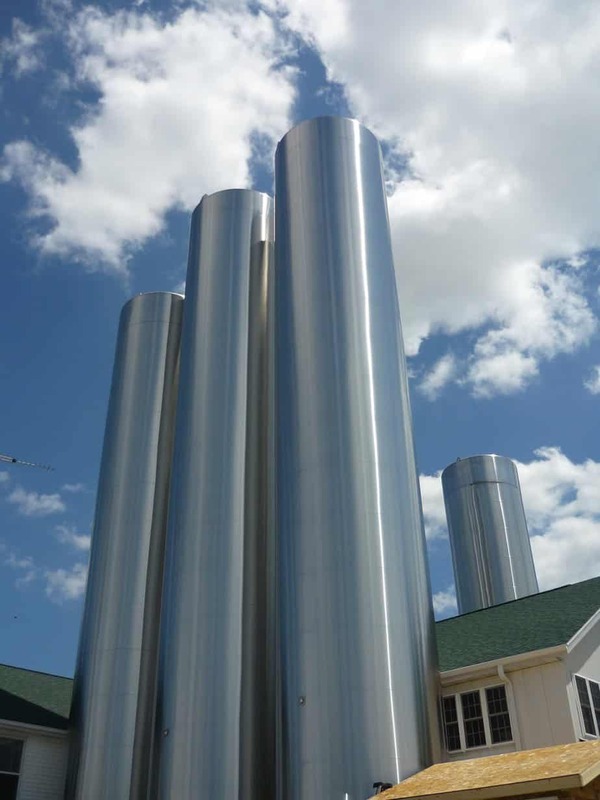 As far as the other issues you brought up, they are in the past and the product that Decatur Dairy makes is fantastic, which is why I chose to highlight them. I find it easier to milk cows without the added weight of a chip on my shoulder, you should try it. The lifestyle commitment is not a limiting factor, but rather the draw. What limits the small dairy farmer is the inability to make a living. Open your eyes….the cheese factories all around are expanding yet the people who milk the cows continue to struggle. Obviously, the cheese people are taking the lion’s share of the profits. Who is paying for all of these expansions?? 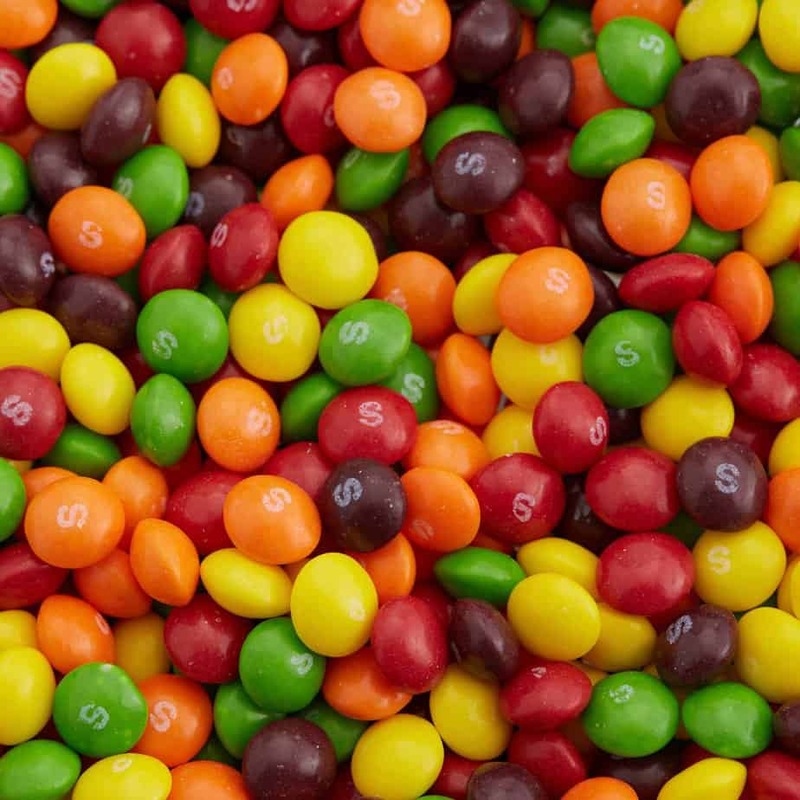 You are…. not Mr. Stettler or any other cheesemaker. The attitude that we should just put up with the inequities in a system that has enough for everyone to make a good profit is naive. Think about this tonight while your milking……has your profit increased the same as your cheesemaker??? Do some research, you’ll be amazed. It is a draw for some, like myself, but ask any farmer with kids that never came back to the farm why they are selling out. My eyes are open. I know that the current system for milk pricing isn’t what it needs to be. But that’s not the point of this post. The point of this post and my blog in general is to connect with people who are interested in finding out more about the food we eat and what dairy farming is all about. At some point I may get into the pricing structure of our milk but I am more worried about making sure that people feel safe drinking and eating our product, because it won’t matter what we are paid for the milk if we don’t have anyone drinking it. I should also add. In general I try to only write about topics that I know and understand fully. My passion is the cows and cow care, so that is what I focus on. Our milk pricing system is very intricate and it’s not something I feel completely confident writing about. I want to be a reliable source for information and I think that taking on subjects that I don’t completely understand is no better than someone who hasn’t spent time on a farm since their grandparent’s farm 30 years ago writing about modern farming practices.